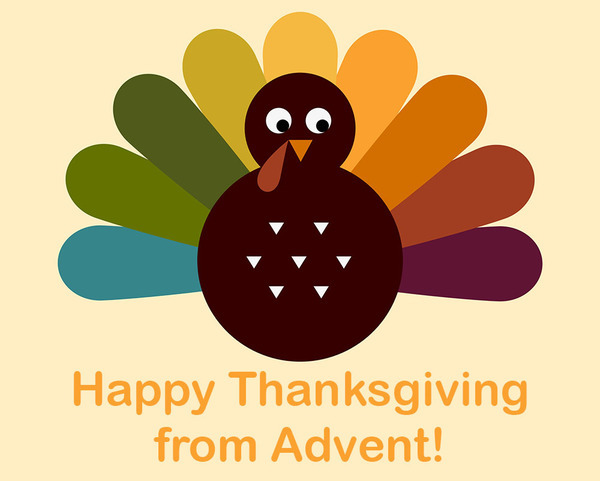 From us at Advent to you, we hope that your Thanksgiving is full of more happiness than mishaps, more contentedness than stress. Whether your Thanksgiving is a quiet meal at home or a big family production, we hope it is one where you feel warm with gratitude for the people, experiences, blessings (and delicious food!) God has woven into your life. Meet Zachary's new baby, Wren! If you haven't heard yet, our new Sunday School Coordinator and Office Administrator just had his first baby! Repeatedly over the past few weeks, Zachary has told me about the unbelievable joy and love he feels for this new person who has entered his life, summed up by the statement, "I thought I knew what love was before Wren -- but I didn't." While I'm still looking forward to what that might feel like -- I imagine you too, as a parent, know what Zachary is talking about. New life coming into the world is a huge deal. And, while only in remembrance, we're about to welcome into this world a baby that brings new life for us all. God's child, Jesus, sent here to live out every part of human life and redeem all of humanity. 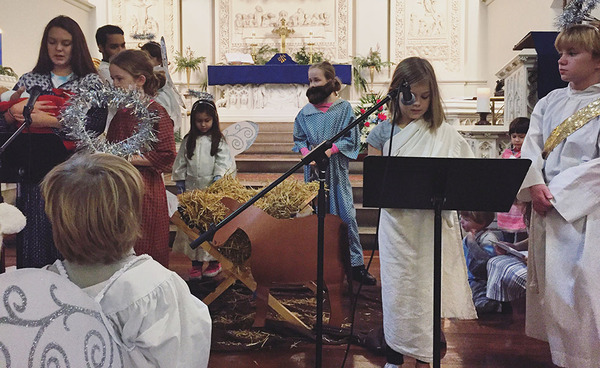 We have the opportunity to let our kids at Advent express and share this wonderful story at this year's Christmas Pageant, taking place at 9am worship on Sunday, December 11. Join us for Sunday School at 10:05-10:55am this Sunday and the following Sunday so your family can be part of this truly special production. Zachary has prepared a really cool vision for the Pageant this year, and I think we'll all have a blast bringing it to life. Bring your kids this Sunday to get their parts and script. See you at Sunday School!